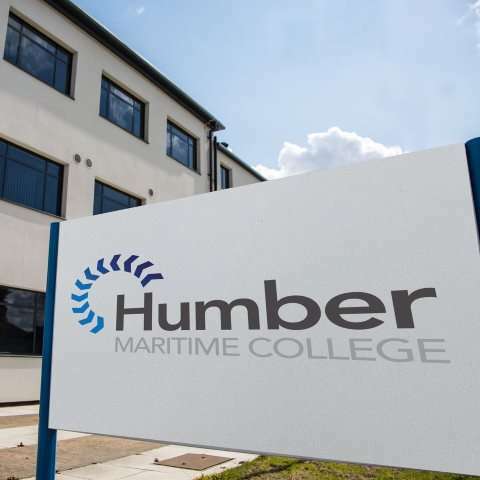 Clyde Marine Training are delighted to announce our partnership with another Nautical College – Humber Maritime College. Developed over the past two years by MODAL Training and the TEC Partnership (formally the Grimsby Institute Group) and launching in September 2019, the MNTB and MCA approved college will provide full cadet programmes for those aiming to enter the Merchant Navy as officers. CMT are the largest Merchant Navy Training provider in the UK, and work on behalf of some of the world’s largest shipping companies to train the next generation of Merchant Navy Officers. Engineering officers are specialists in the operation of maritime vessels, making sure the technical equipment such as pumps, engines and propulsion systems on the ship are safe and working properly. Humber Maritime College has a full range of marine simulators which will be integrated in to the cadetship, providing a way for cadets to experience and learn on marine engines and engineering systems during their onshore study phases. This allows them to get a feel for the working environment and to practise a wide variety of scenarios, in preparation for a career at sea.